A boutique collection of 18 well-crafted residences are placed in a treasured Vancouver neighbourhood on an idyllic residential street. 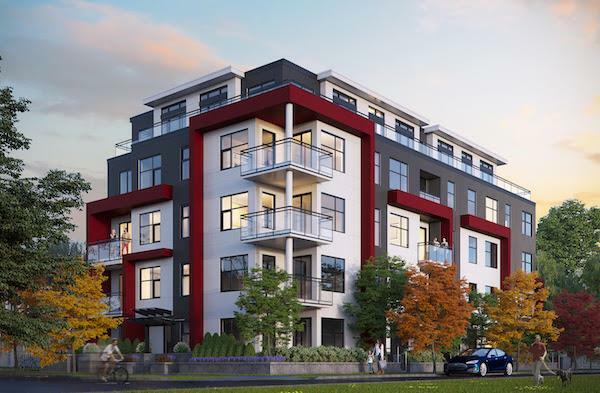 Equally defined by the natural habitat of Queen Elizabeth Park, Hillcrest Community Centre and the amenity-rich Main Street, homes at The Crest pay tribute to a balanced, West Coast lifestyle. Enjoy the benefits of recreation, dining, shopping, and culture – you’ll find life fulfilling and truly community focused at The Crest. Unparalleled leisure and recreational activities are available from neighbouring Queen Elizabeth Park, Hillcrest Community Centre, Nat Bailey Stadium, Riley Park, and Vancouver Racquets Club. For dining and shopping options, Main Street’s multitude of restaurants, boutiques, shops, cafes, and businesses are within easy walking distance. Upscale shopping choices can be found at Oakridge Centre on the opposite side of Queen Elizabeth Park. As this development is in pre-construction, pricing has not yet been made public. Serious buyers should contact me today to confirm availability and to evaluate relevant plans. Given its proximity to schools, Queen Elizabeth Park, sports fields, and Hillcrest Community Centre, The Crest should be especially attractive to young families. Residents will enjoy the use of a 24′ x 15′ 9″ courtyard with covered barbecue and eating area. Each home will offer either a patio, balcony, or roof deck. The Crest provides residents with 21 underground parking stalls, of which 14 are standard size, six are for small cars, and one is a handicapped space. Class A bicycle storage in the underground offers 17 horizontal stalls, one vertical stall, and five lockers. In addition to closets in each bedroom, 40 sq ft of storage is available in each home. Approximately $0.36 per sq ft. Since Forrester began developing real estate 25 years ago, they’ve always been focused on connecting with people. And now that impulse to prioritize people and community continues in the homes Forrester Group builds throughout Vancouver. As a boutique developer, they believe in quality over quantity, craftsmanship over conveyor belts, and integrity over profits – because Forrester cares about where and how you live. Ankenman Marchand Architects is experienced in a broad spectrum of architectural, urban design, and community planning projects, including multi-residential developments, commercial projects, heritage restoration, and resort planning. At AMA, fresh ideas are paired with technical skill, to produce award-winning results. Their multi-disciplinary team finds thoughtful solutions to clients’ needs, using sustainable building practices and building information modelling. AMA’s strengths are in quality of service and the form and function of the resulting architecture, regardless of budget. Are you interested in learning more about other homes in Mount Pleasant, along Main Street, or near False Creek? Check out these great Mount Pleasant presales!